If you experience a sewage disaster on your property, call Miller Restoration’s 24/7 emergency response team. We’ll immediately evaluate the damage and proceed to a thorough sewage cleanup in Audubon. Audubon use to be named Shannonville. Shannonville was named after a large, influential family in 1823, when a post office was established there. Jack’s tavern—the present-day Audubon Inn—was opened here as well. Mr. Shannon was a prosperous pig farmer and hence the town gained the nickname “Hogtown”. Present-day Audubon was christened in 1899 in honor of early-19th century resident John James Audubon, who resided at Mill Grove, located at the intersection of Audubon and Pawlings roads. Today, Audubon is home to landmarks such as the John James Audubon Center at Mill Grove. Providing services to Audubon PA, including 19403, 19460. 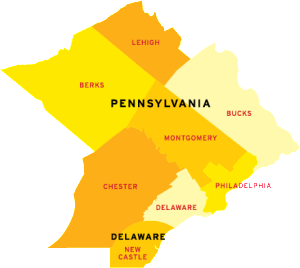 We also provide sewage removal to areas such as Springfield PA and West Chester PA.